Welcome to the first full week of Operation #ReadSherlock! 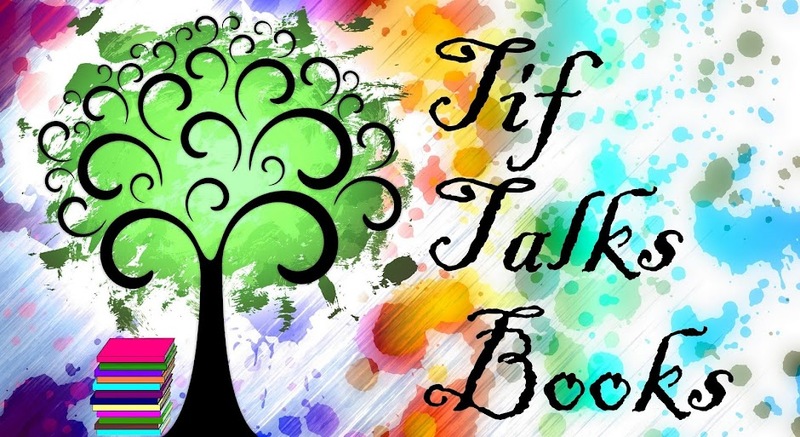 At the beginning of every week, I will be posting a quick reminder of what we are chatting about this week with a few of my own thoughts attached, and then I encourage you to share via the comments or linking up to posts on your own sites. Along with each reminder, I will do a quick wrap-up of what has happened since the previous weekly wrap-up. Essentially, the weekly posts will be the hub for the event, with a few highlights of items that may interest you throughout the week. Without further ado, let's kick off the first week . . .
ICYMI: I kicked off the month with a quick fandom vote, highlighting a few of the Sherlock favorites. If you haven't already cast your vote, be sure to do so here. I realized after the vote began that I probably should have voted for our favorite Dr. Watson, but I totally missed that one! The INSTAGRAM SCAVENGER HUNT for this week is Scarlet/Red. Be sure to share all your scarlet/red pics and tag them with a #ReadSherlock hashtag. I may highlight a few of my favorites in next week's post! Now, for the fun stuff . . . the discussions! Let's start with A STUDY IN SCARLET! This is the perfect story to begin with because it is the first appearance of the infamous Sherlock Holmes. I originally read this story only a few years ago, and will be picking it up this week to read again. 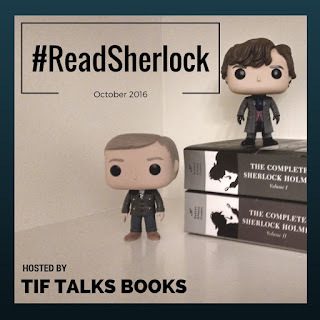 As I read, I will be sharing my thoughts on social media (particularly Twitter) using the hashtag #ReadSherlock. It seems only logical to move straight into the BBC's SHERLOCK SEASON ONE because the first episode of the series is adapted from A STUDY IN SCARLET, and features Benedict Cumberbatch as Sherlock Holmes and Martin Freeman as Dr. John Watson. The series premiered in 2010, and I had the pleasure of discovering it a couple of years later. The two main actors originally were not large names, but have since been propelled into the spotlight; Cumberbatch appearing in blockbuster hits as THE HOBBIT, STAR TREK INTO DARKNESS, and the upcoming DOCTOR STRANGE and Freeman appearing in THE HOBBIT and the TV series, FARGO. The series comes to a cliff-hanger ending with a stand-off between the two partners and the villainous Moriarty. I immediately fell in love with this show because I felt it had it all: action, mystery, humor, and of course, the chemistry between two amazing actors that are pleasant on the eyes. It was a show that both my husband and I could sit down and enjoy, not just once but multiple times. Of course, I was going to move onto the second season! In BBC's SHERLOCK SEASON TWO, we get to find out what happens in that cliff-hanger among the three men. We are taken on a roller coaster ride that happens to include our selection for next week, THE HOUND OF THE BASKERVILLES. It's an eerie episode that is definitely fitting for the spooky season of October, and moved directly into one of my personal favorites of the entire series thus far . . . the season finale chronicling the end of Moriarty and as viewers speculated, Holmes himself. I personally did not see this one until recently, and I'm not sure what took me so long to find it. It's rather an amusing short! Alright, I think that is enough from me at this point. 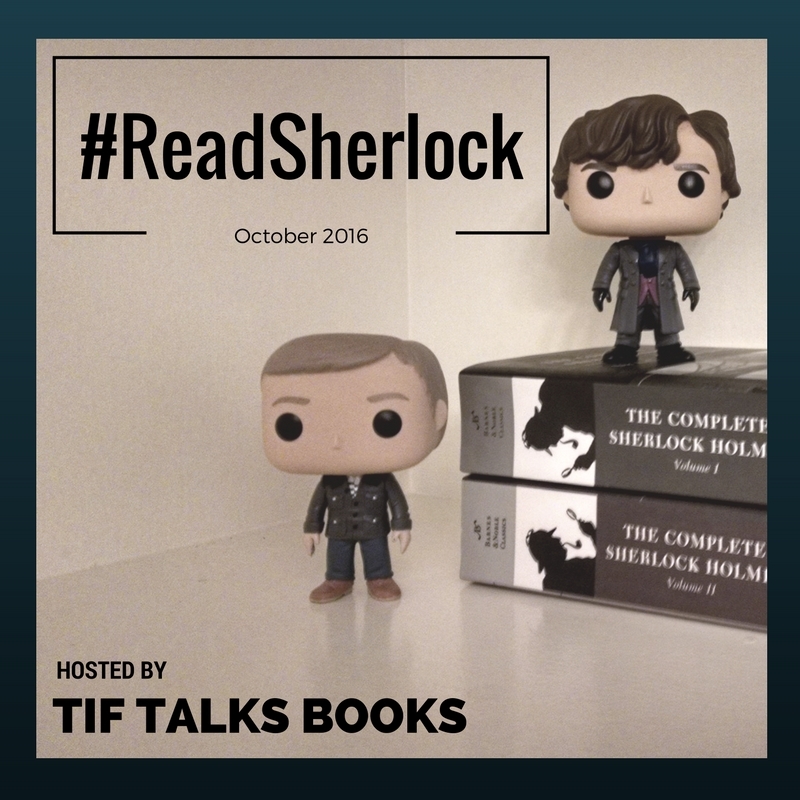 As you read and/or watch this week, be sure to share your thoughts along the way on social media using #ReadSherlock. Or, you can share your thoughts in the comments section below. 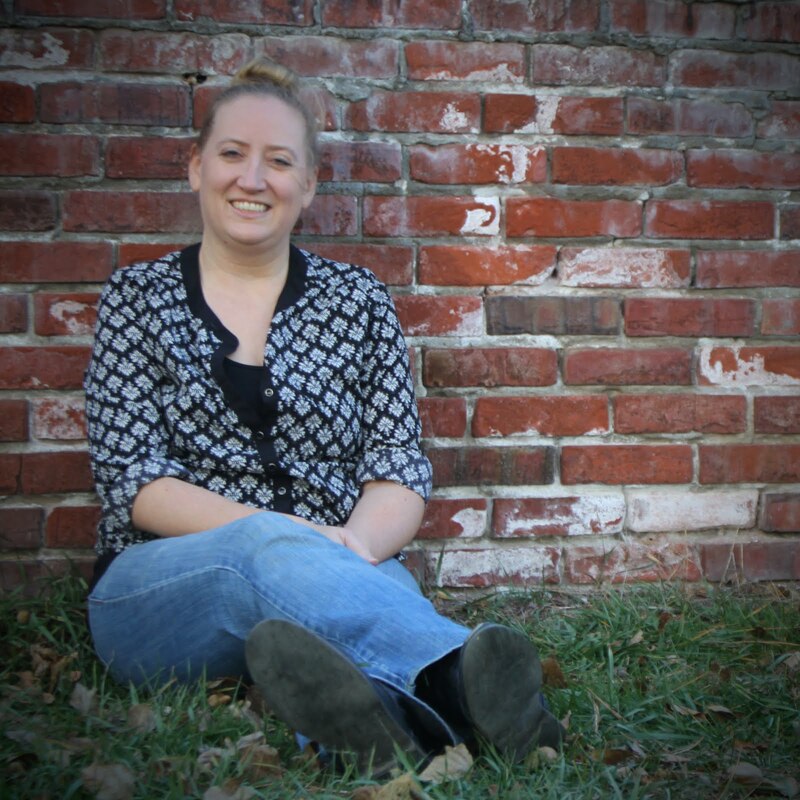 Or, you can share your thoughts on your blog and link up below. It's your choice and it is on! What is on your Sherlock mind this week? Mmmm...Benedict as Sherlock. Excuse me while I drool a bit. I think the BBC show is absolutely amazing - one of the best things on TV ever. The entire family not only watched the shows together, but we have a tendency to rewatch them when there is nothing good on TV. The stories never grow old, and Moriarty is one of the best villains out there as well. So, so good. Michelle ... I completely agree! Benedict and Freeman are an amazing team, and the guy who plays Moriarty is simply brilliant! I know and don't know Sherlock. I have never read any story and though I saw the occasional film (The Great Mouse Detective ��) and obviously heard, read and saw a milliom references I never started reading or watching. I bought the book with complete stories a few years back and it has been sitting on my shelves so I decided to join in. Will give the series with Cumberbatch a try as it is on Netflix! Thanks so much for organizing. Ciska van der Lans ... I am so excited that you are joining in, and I am already loving your pictures for the Instagram challenge! I didn't even think about The Great Mouse Detective, so good call there! And, definitely keep us posted on what you think of the show. I hope you enjoy it as much as I do! We've known Freeman for longer here in the UK, as he was in the original series of The Office, as well as being in Love Actually and the Hitchhikers movie. nordie ... Good call on Freeman! I didn't even think about that, so thank you for correcting me. Isn't the Christmas dinner in Season 3? I was aware of the parent connection (not the bow tie), but didn't bring it up because I was thinking it was coming for next week's link-up. This week I found time to read A Study in Scarlet and watch a Study in Pink and it was really interesting to see how they used the elements of that story and reworked them into a modern tale. I have to say that I preferred the original actually. I like that it was more morally ambiguous. Also, it has been a while since I read Conan Doyle and I was really surprised how easy he is to read! His writing is almost modern. Kristen M. ... I'm hoping to watch more this week too. I love watching the old episodes so much. I'm particularly interested to read The Hound of the Baskervilles, since I haven't read that one yet. I HAVE NEVER SEEN THAT VIDEO BEFORE!!!! Oh man! Thanks for sharing it. I can't believe I didn't know about it. I'm up to schedule, but I haven't posted yet, sorry! I plan on getting something together though. Kami ... I only recently discovered it myself, and I don't know how I didn't see it earlier!! Totally made my day! !